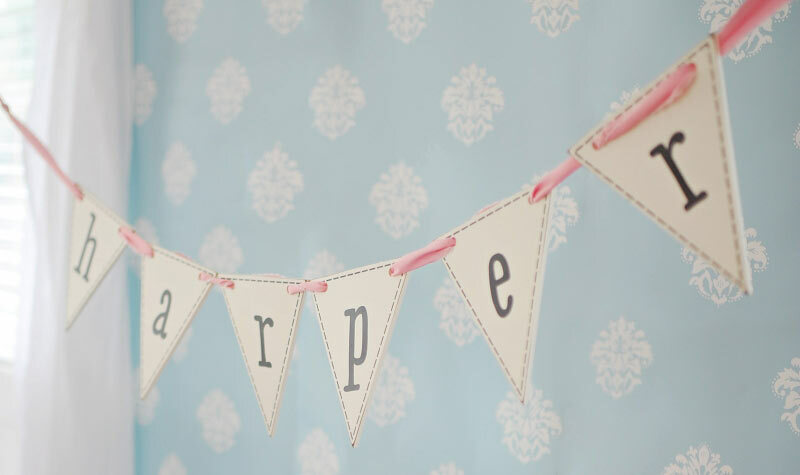 Our Wooden Flag Letters are hand painted in antique white with dark gray letter text. Wooden Flag Letters are approximately 7" tall by 6". 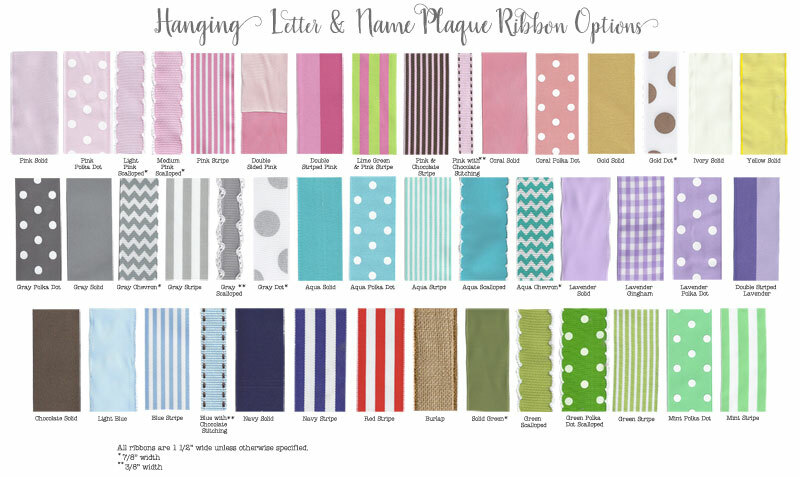 Choices for ribbon included with letters can be seen below. Because all Letter orders are custom made for you, please allow an extra 1-2 weeks for delivery. 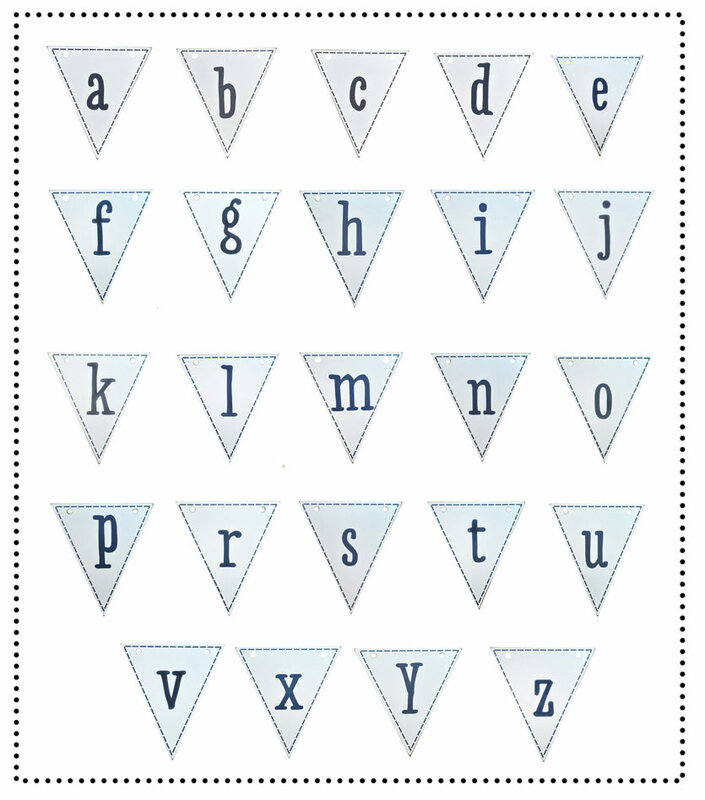 Q: I am trying to purchase the wooden flag letters (pennant letters) and a lot of the letters are out of stock. Is there a possibility these will be in stock again within the next couple of weeks? I need Delilah spelled out. Thanks for your info! A: Hi there! Unfortunately, we are out of letter "r"'s. We will not be getting any more of these. I'm so sorry about that! Q: Do you not have the flag letter R? Unfortunately, we are sold out of the letter R, and will not be getting any inventory. 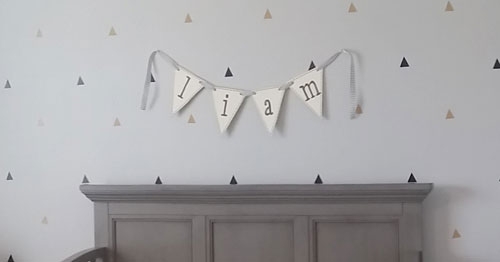 Q: I had ordered the wooden flag letters for my 1st daughter. 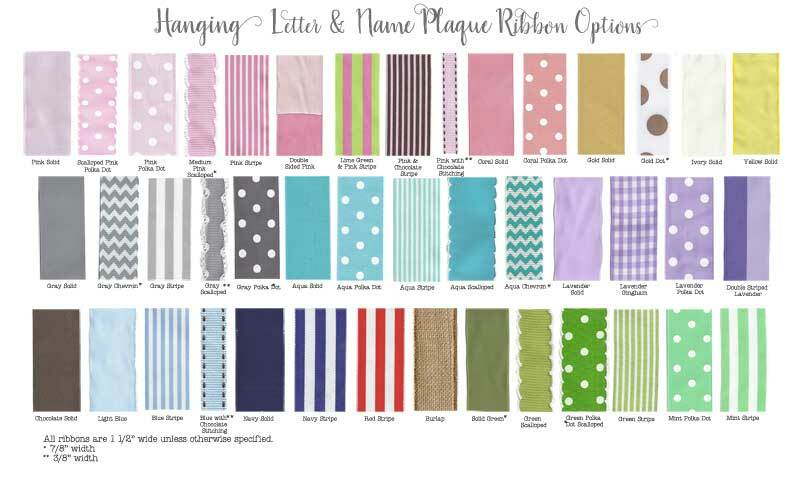 Was wanting to order them again for newborn daughter's room, but noticed that the letter 'a' is not an option. Are these out of stock? Will they come back in stock? I'm sorry, but we are completely out of the letter "a", and will not be receiving any additional inventory of the letters. Unfortunately, we are out of stock of "a's", and they have been discontinued.